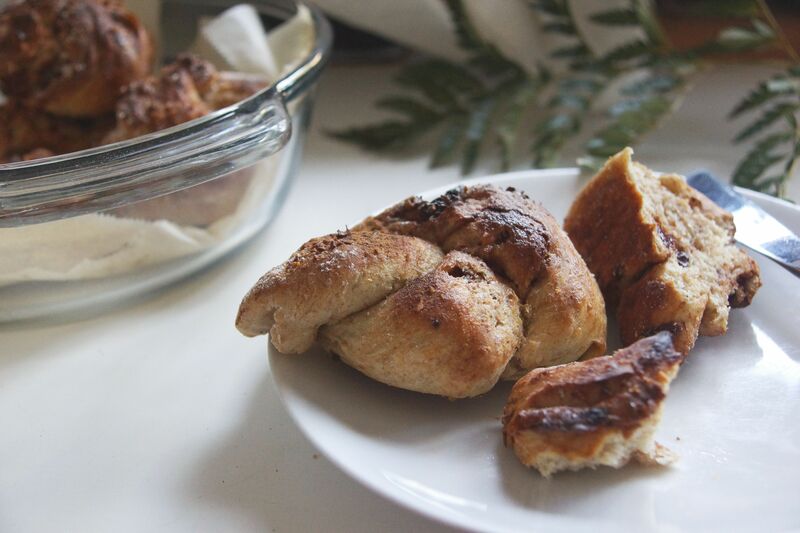 Cinnamon, strawberry, + raisin breakfast knots. 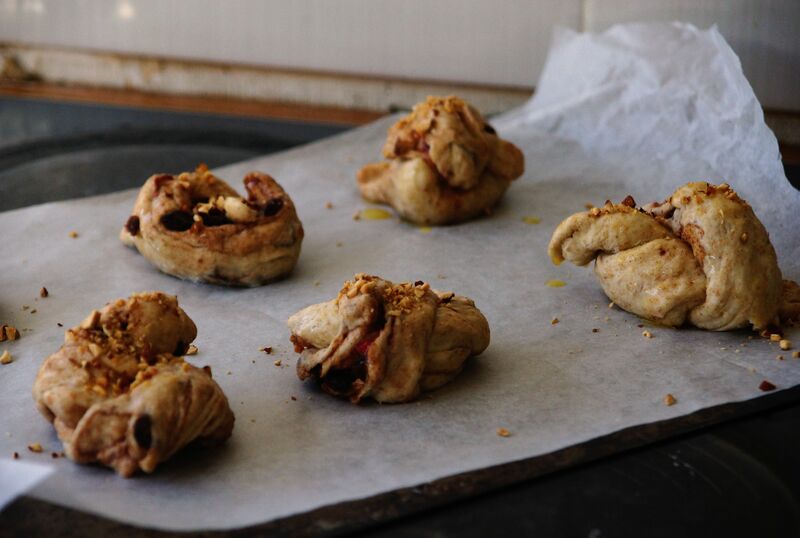 Inspired by whatshouldieatforbreakfasttoday‘s cinnamon and raisin knots. Once it looks like that (if it doesn’t seem to work, try again), add to a large bowl with all other dough ingredients. 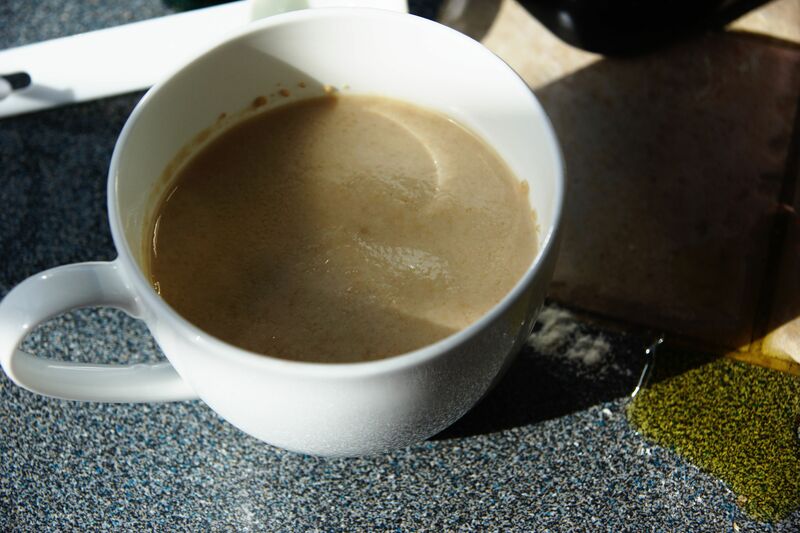 Mix with a wooden spoon then knead for 5 minutes. 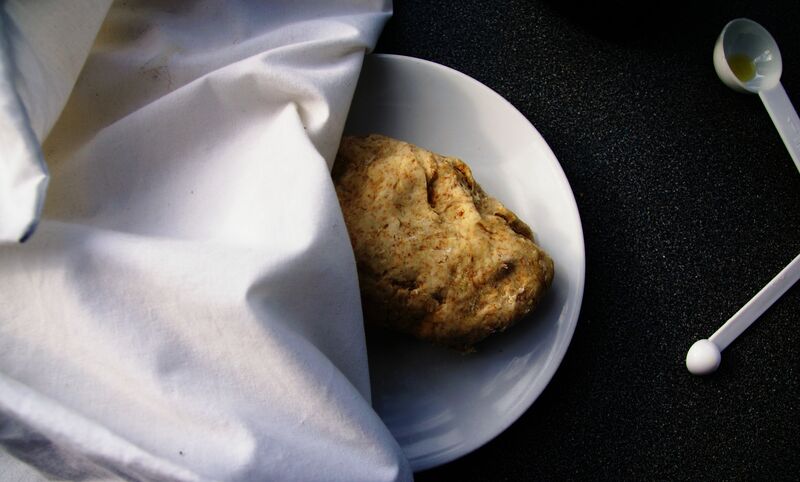 Place kneaded dough in a bowl brushed with oil. Cover with a clean kitchen towel and leave aside (in a warm, sunny spot or near a heater) for about 30 minutes. 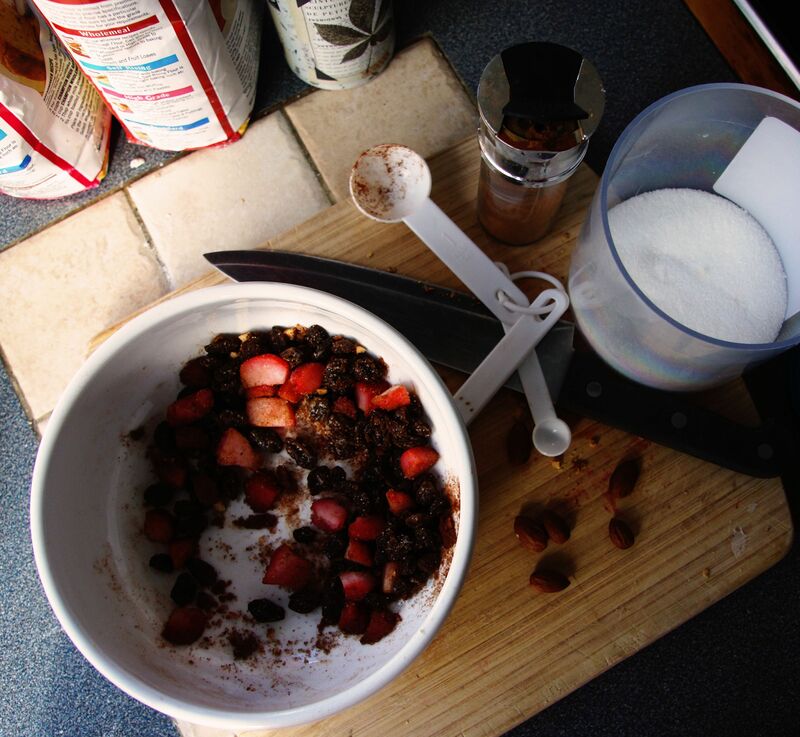 In the meantime, combine cinnamon and sugar, raisins, strawberries, half the chopped almonds, and lemon zest in a bowl. Heat the oven to 200 degrees celsius. It’s not strawberry season where I am, so I used organic frozen strawberries. 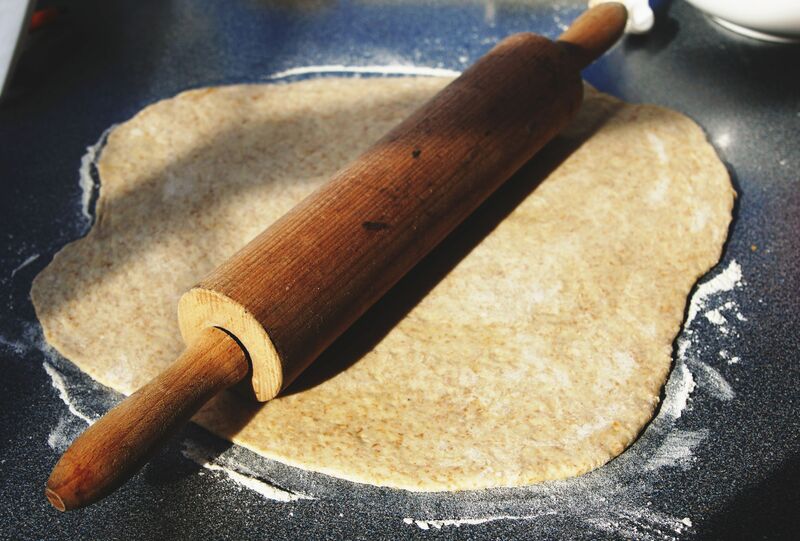 When your dough is ready, roll it so it is 0.5cm thick. Spread your filling all over. Then roll into a log and with a sharp knife cut into 6 even pieces. You want your pieces to be big enough so that when you stretch them out, you can tie them into a knot – so if need be, cut less pieces! Roll/stretch each piece so you get a long rolled shape. Then tie into a knot! Place each knot on baking paper tray, brush with the melted butter and sprinkle with chopped almonds, + a bit more cinnamon sugar. Bake for 20 mins. Brush more melted butter once out of the oven. Sprinkle with more cinnamon sugar and/or dust with icing sugar. Serve warm and eat with lots of butter, jam, etc! These make a good afternoon snack, picnic treat, or breakfast option. Moroccan-ish kumara and chickpea salad with date vinaigrette.